Mary Jacob grew up as an anomaly. A child of Louisiana in the early sixties, she found little in common with most of the people in her community and in her household, and her best friend was Lavina, the black woman who cooked and cleaned for her family. Now, in the early nineties, Mary Jacob has escaped her history and established a fresh, if imperfect, life for herself in New York. But when she learns of her father's critical illness, she needs to go back home. To a disapproving father and a spiteful sister. To a town decades out of alignment with Mary Jacob's new world. To the memories of Billy Ray, Lavina's son who grew up to be a musical legend whose star burned much too bright. 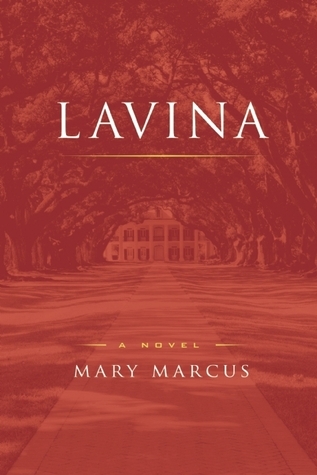 Lavina is a powerful novel, stretching to fill the empty spaces with a tale of hope that has no chance for a happy ending. The way the book is set up: it's like a car crash -- you can't look away once you realize what's about to happen. Lavina begins slowly with a false sense of security, the reader knows what the end will bring, but somehow, somewhere in the middle, you get lost and all of a sudden, the book is un-put-down-able and you're praying for a way to change the outcome. There are three main characters in this novel, with important key players along the way. Lavina was the housemaid in the 1960s (and before) for Mary's family. Billy Ray was/is Lavina's son, who once was a very famous singer and harmonica player. Mary Jacob is a children's book writer, who struggles with remembering her past, returning to Louisiana because her father is dying. Readers will feel a connection to each of these characters, but in quite different ways. Lavina is the mothering type. She worries, warns, and wipes up the mess. Readers know that Lavina is deceased, but not how it happened. Her sweet and loving personality, and the way she treats Mary Jacob, will instantly connect her with readers. Readers see both the child and the adult in the novel where Billy Ray and Mary Jacob are concerned. Billy Ray is a little boy who wants to be able to take care of his mother. He dreams of her quitting her job and relaxing all day while he plays music and makes enough money for the both of them. But he has a lot of anger for a young teenager. As an adult, Billy Ray has been through the ringer. He's been famous, rich, drug-addicted, in jail, and at rock bottom. Presently, sober and focused on playing his music once again, readers see the man he's become. Not the best man, but a man who wants to be better. Readers will understand through the novel's details, even if they don't agree with or particularly like Billy Ray's character. Mary Jacob is the hub of this story's wheel. She's the outcast of her family, the one nobody cares much about. She's lonely, but intelligent, nice, accepting, and sweet. Mary Jacob clings to Lavina because she is the only one who has ever shown Mary real unconditional love. Readers will experience Mary Jacob's nervousness at seeing her father again, understand her dislike for her snobby sister, and see what happened the summer that Mary's life changed. As an adult, Mary Jacob is a bit more complicated than her pre-teen self, married with children of her own and a career she's proud of isn't always enough to impress people you shouldn't give a damn about. The connection between readers and Mary will be the strongest of the three as she's the focus, but each character has potential, except the snobby sister Kathryn. The plot of Lavina is an intense string of events. In the present day, Mary Jacob is traveling to Louisiana to see her father on his deathbed. At the same time, Billy Ray is traveling back to Louisiana to play a show, kicking off his next tour. The two collide and Mary Jacob suddenly has the memories back that she had locked away so many years ago. As the memories return, the readers take the journey back to the 1960s with Mary, reliving the worst summer of her life. Mary Marcus does an astounding job in reaching out to the reader, bringing them into the story as if the characters themselves were sitting beside us, telling us everything that happened, seemingly interrupting each other and filling in details. It's quite an amazing novel, simple as that.